Jane Schmidt, a librarian at Ryerson University, says the reading exchange program fails to serve 'book deserts' because most are located in well-heeled neighbourhoods. They usually look like little houses on poles, they're filled with books available to borrow, and you'll find them in cities and towns around the world. They're called Little Free Libraries. Some people find them quaint. Some see them as a sign of good neighbourliness. But not everyone is a fan. 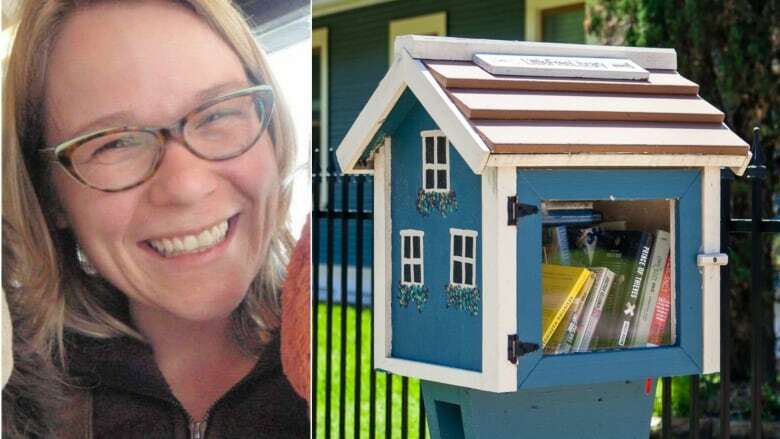 Jane Schmidt is a librarian and she has a problem with Little Free Library — the non-profit organization behind the project. JANE SCHMIDT: We always like to make sure that everybody knows we're talking about the non-profit organization itself and its branded trademark, not the book exchanges themselves. So, what we were trying to critically examine was what this non-profit organization — who has become a media darling — what they claimed to be accomplishing. CAROL OFF: These are these little kiosks, [they] look like big bird houses … with a little door on them, and you can take a book or leave a book. The idea is kind of quaint, isn't it? What's wrong with that? JS: Well, there's nothing wrong with that. But what we suggest is that you don't necessarily need the branding of an organization that has trademarked the word "library" in order to do that. That's kind of the bottom line. It was just about disparity in image, really. And wanting to explore why were people aligning themselves with this brand, what was this company all about — this non-profit organization I should say — and what were they setting out to do, and were they really doing that, and what do they do that public libraries don't do or vice versa. CO: You go further in this analysis. You're pointing out that where these Little Free Libraries turn up on front yards are principally in wealthy, upscale neighbourhoods. You say that, perhaps, these are really just kind of what's called "branded philanthropy." And people have them out there as symbols of their values, rather than as a gesture of helping people who might want to read something that they might not be able to access otherwise. What are you talking about there? JS: Well, again, we're getting back to what the core mission of Little Free Libraries says that they're doing which is they claim to be enhancing literacy and building community and bringing library services to "book deserts." So my research partner Jordan Hale from the University of Toronto, she and I had just kind of casually observed, why do they always seem to be in, you know, the Beaches or, you know, in the Annex — you know, the more wealthy, well-heeled neighbourhoods, well-resourced neighbourhoods in Toronto? And if we were actually to find that they were mainly in privileged, well-educated neighbourhoods, is there a way that the organization could be bit more purposeful and intentional in placing them in neighbourhoods that are less well-resourced? And is that something that is needed for that community and could they actually partner with their local public libraries in order to enhance service? CO: And what do you conclude about the people who are putting them on their front lawns and their motives? JS: We didn't speak to their motives. We felt that we couldn't do that in an ethically-responsible way with our research. We tried to stay away from doing ethnographic research because we could not escape the bias that was inherent in that. CO: But you call it "neoliberal politics at street level." JS: Yes. So, that's founded in the work done by a scholar by the name of Rodrigo Davies who studies civic crowd funding. So what civic crowd funding is, is, basically, citizens deciding to get together and pooling money to fund services that would normally be provided by the government. So, that was another aspect that we wanted to look at was are we inadvertently sending a message to governments ... why fund public libraries when you've got these local people who are going to, you know, just kind of run these Little Free Libraries themselves? CO: Have you seen anywhere where that has happened? JS: We came across a very small corner of the world in Texas where a village outside of El Paso ... had previously enjoyed access to the urban public library. Due to budget cuts they were going to have a levy of $50 placed on them. So, it was the [village's] solution to build Little Free Libraries, five of them in town. And they made it clear that while they were going to build the libraries, it was up to the community to keep them stocked. CO: People have pointed out in some of the reaction to your piece that if you go and open those little houses and look inside it's quite often quite a pathetic collection. It doesn't seem to be a real genuine threat to what libraries are providing. JS: Exactly, right. I think that's kind of the other thing. We didn't want to pick on that too much. JS: It is what it is. 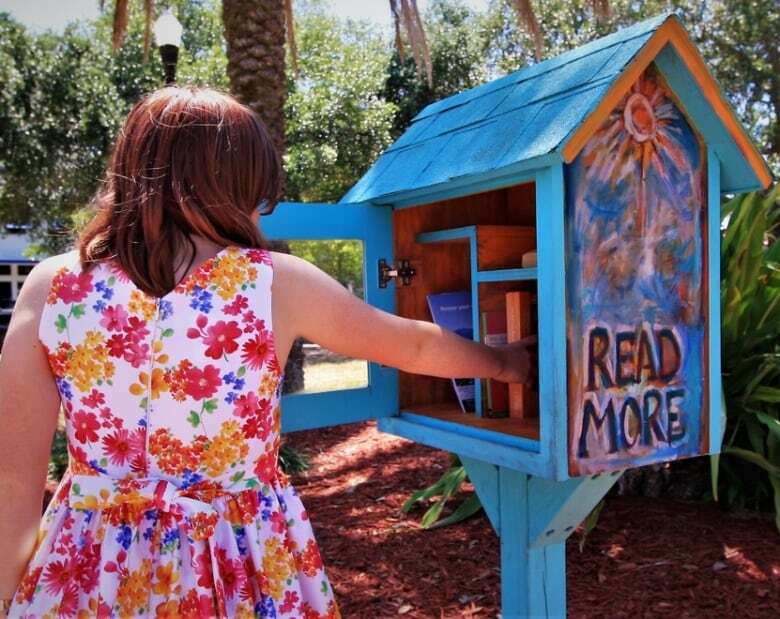 But, again, if you get back to what we were really trying to focus on with the Little Free Libraries corporation — like the non-profit — they speak very highly of what they're doing and the impact that they're having on the community, but ... I was like, "Have you looked inside one of them lately?" I always say that a reluctant reader would be very hard-pressed to find something that was very appealing to them. To say you're enhancing literacy in a community that otherwise doesn't have access to books, you're not doing that when you're providing them with access to the Windows 2000 manual for dummies ... or the self-published poetry. I don't want to diss self-published poetry, I'm sorry. But, we've all seen inside a Little Free Library or a book exchange, however you want to refer to them, and sometimes the books just aren't that great. CO: Just finally, are you worried you might wake up tomorrow with a dozen of these boxes on your front lawn in some kind of a protest? JS: I really hope that nobody knows where I live. People really love Little Free Libraries and I'm sorry that I've pissed a lot of people off. But I'm kind of just doing my job, right? As it Happens reached out to Little Free Library for comment, but did not receive a response before our deadline. This conversation has been edited for length and clarity. To hear the full interview, listen to the audio above.